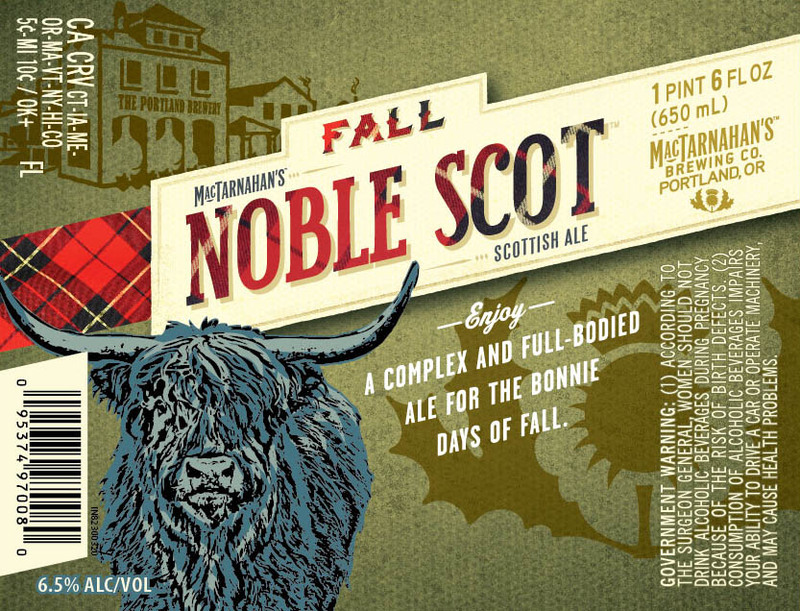 "A limited edition Scottish ale with notes of toast and caramel, Noble Scot is full-bodied and sweet with a subtle smokiness." - Nice clear dark tea-colored brew. Minimal off-white head which quickly settles to a scattered trace above the brew, and a small ring stuck to the glass. Quite simple really, and nothing spectacular. 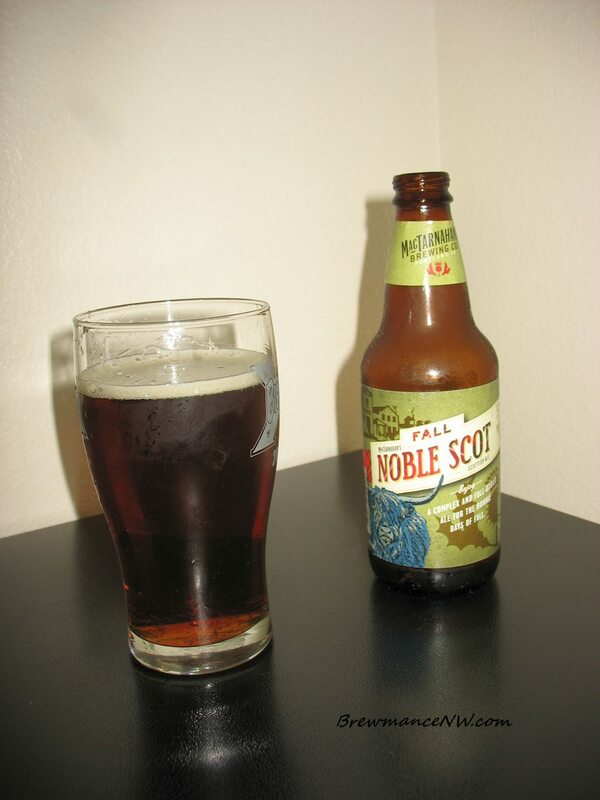 - Certainly a good amount of esters in the aroma. Tart esters with a touch of cherry, fig, and sweet tangy malts. A little more fruit-like than I like, but expected from a Scottish style which isn't a Wee Heavy. Not much in the hop department other than maybe an earthy and grassy touch to balance. - Nice smooth malts, light sweetness, a touch of brown sugar and/or molasses, little bit of a biscuit touch with a light crisp taste of early boil bitter grassy hop. Overall a well balanced and simple dark beer. Hits the style, but not much about it stands out in flavor. - This is where it gets a bit tricky for me. I don't much care for a beer of a different style or origin being brewed with a simple house ale yeast. This just has the feel of a pale ale. It's rather light to medium bodied, bubble like a soda pop pale, but does have a nice hop induced chewiness to it that is favorable. I would prefer a thick head and perhaps some more aroma coming from it. - Can't say I am too impressed. This beer has "played safe" all over it. I would like more robust flavors and aromas.. perhaps a little smoke and roast. Carbonation should be a little more above the usual house pale ale yeast, and i want some lingering flavors in my mouth. This is just a bit too simple and safe.